The vision that has been gelling in my mind has also struck a beautiful chord with our farm friends, and I'm feeling a groundswell and momentum that is going to blast us forward. Today, we got together with new friends and old, shared some great skills, and massaged the dream a little bit more. 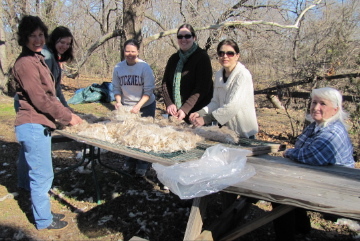 A great group hung out together, helping me with our white alpaca fiber prep and learning a bit about preparing their own fleeces. 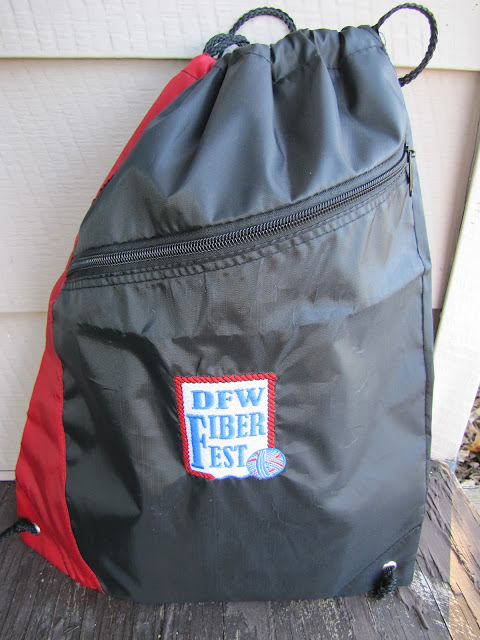 The weather was fantastic, and we just had a blast, covered with soft, downy fiber. The group gets intimate with some suri fiber. Madeleine and Anna came from Irving, Taya from Mansfield, Anela from Allen, and Mary and Diana from Southlake. We skirted suri and huacaya alpaca fiber, tumbled some fleeces and helped the ladies with their own llama and wool. These are skills you learn with your fingers as much as with your eyes and brains... fingers can learn new tasks, too. Taking time to train these ladies will pay off big time on our next skirting day. 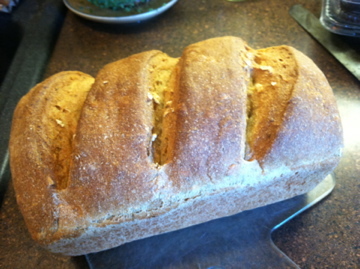 Madeleine provided a gorgeous loaf of bread for lunch. As a great focus group, the ladies helped me think out loud some more about our Farm Women School program, in development as we speak. If you're interested in this program, please contact me soon - I'll be sending an informational e-mail out to everyone I know who wants to participate. Checking out your blog today and was very interested in the "leaf blower?" being used to help clean up the fiber. 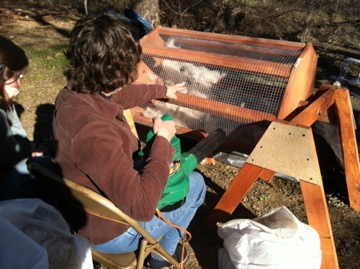 I also clean my own alpaca fiber and have a tumbler, but didn't think about the blower. Thanks for the good idea! Hi Teresa - yes, I just learned about the leaf blower recently, too. It helps us get more out of the tumbling in much less time. The dirt and second cuts blow out, and the fiber doesn't need to rotate nearly as much in the tumbler. This cuts down on some webbing and (pre)felting that was beginning with fiber that was tumbled a long time. Good luck with your fiber! Cindy, put me on your email list.